The colouring book itself was produced by Scarfolk Council Health Board Service Council and was distributed throughout hospitals, schools and junior covens. While providing children with a fun creative pastime, it also subtly alerted them to the dangers of horrific diseases such as rabies and bed wetting, instilling in the children a deep-seated fear of foreigners, close relatives, harmless household objects, animals, vegetables shaped like animals, and belly buttons (see Barbara the omphalophobic office hand puppet). Here's a BBC Scarfolk TV testcard from 1970. The SHS (Scarfolk Health Service) suggested these particular photographs in an attempt to subliminally accustom citizens to the plummeting success rate of state healthcare and to lower their expectations. But they got more than they bargained for. 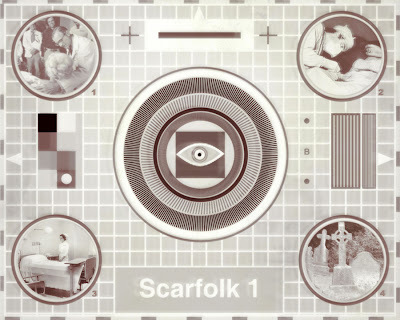 Throughout the 70s a very faint, ghostly image of a woman's face began inexplicably appearing on Scarfolk's local TV broadcasts. 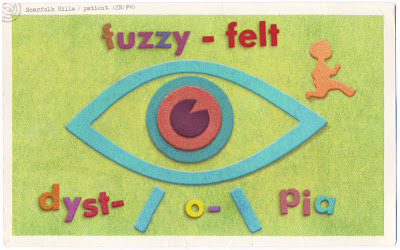 Because she was first seen on this early 'SHS' testcard, she became known as "The Scarfolk Nurse." She appeared on all kinds of programmes, but was most often seen during children's television broadcasts at times of social unrest. Engineers at the TV station never found a technical explanation for the phenomenon, nor could they for the examples of distant, eerie voices on the radio, which were also attributed to the "Nurse". Back in the early 1970s, people were listening to progressive rock concept albums by bands such as Genesis, Yes, Jethro Tull, & The Carpenters, but by the late 70s the genre was faltering under its own weight and social attitudes were changing, as is apparent from the anachronistic double gatefold album 'Space Minstrel' released by Scarfolk's very own prog group, Beige. 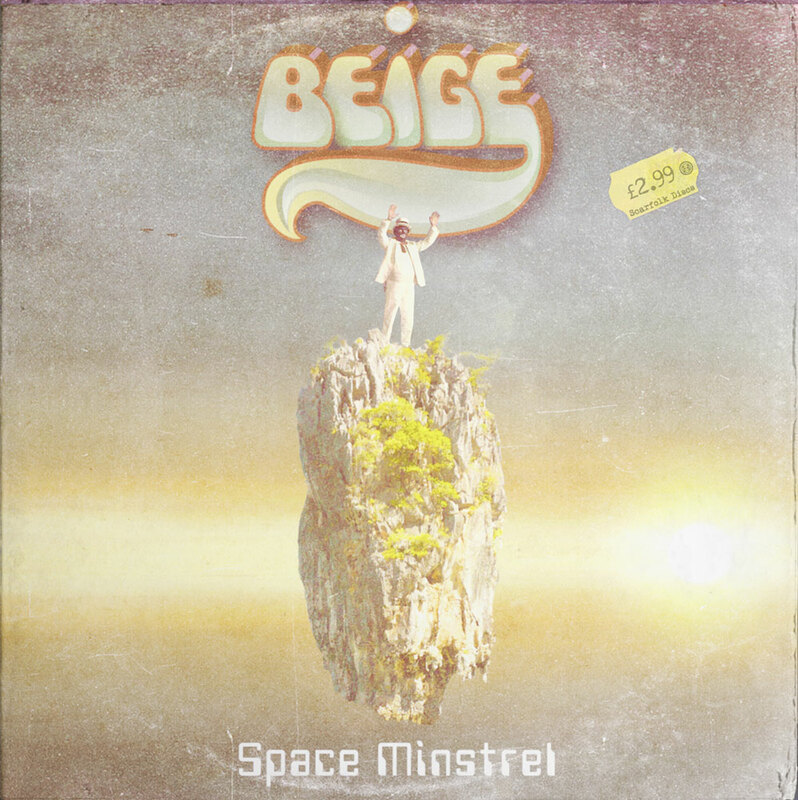 Beige's guitar, lute and harpoon player, Geoff Djeff: "I'd been struggling for hours to come up with a fresh concept. In a flash of inspiration I got the idea of combining a cosmic apocalypse with my favourite TV programme, 'The Black & White Minstrel Show. '* I knew right away I'd got something really classy..."
...However, his love of song is too strong. He endures and his voice echoes through the heavens, bouncing off stars, nebulas and other cosmic rubble. 400 billion years and 3 days later, his vocal vibrations are picked up by an alien race called The Capri-Cortina. They discover a bit of thumb in the minstrel's white glove, rebuild him, and create millions of copies. The minstrels are given their own planet called Zipadeedoodah31-TX where they happily sing for what is left of eternity..."
*It's hard to believe now that The Black & White Minstrel Show was so popular and ran for 20 years until 1978. For those who have suppressed the memory, here it is. 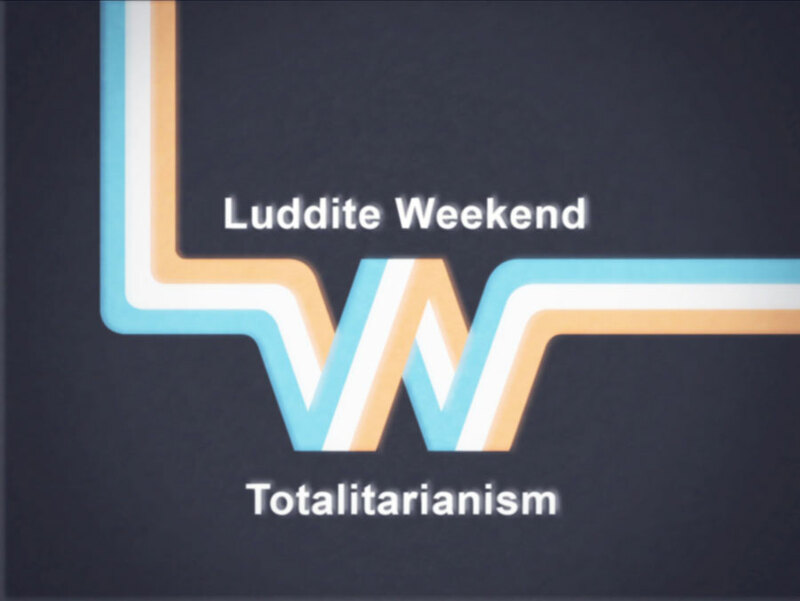 A while back we told you about a strange aberration that occurred during a Granada TV broadcast in 1978 (see here for more details). 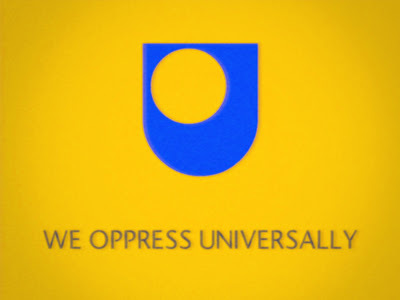 Something similar occurred in 1974 when the TV station idents for both London Weekend Television and BBC's The Open University were similarly affected. No one knows who invaded the broadcasts, though a radical group of totalitarian gym teachers was suspected, particularly because, during one children's TV programme, a story about Humpty Dumpty was subverted into a lecture on Joseph Stalin's passion for badminton. 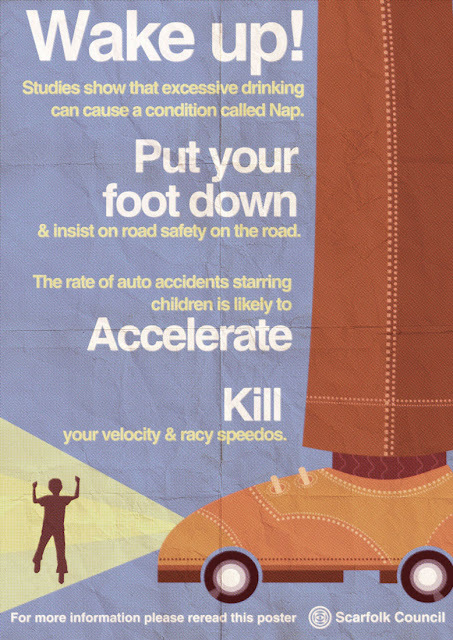 Naturally, road safety is as important in Scarfolk as it is anywhere else. There was a car accident on Scarfolk Moors in November, 1975. A driver veered off the road after being distracted by a dark, hulking entity stalking across the barren, misty landscape. The driver tried to film the entity with his Super8 film camera, but the footage is shaky and indistinct. Many believe this is a confirmed sighting of the 'Scarfolk Beast,' which was spotted on the moors and even around town for many years. "...At first I thought it was a large, hand-knitted tortoise..."
"...It had the head and upper body of a fish and the lower body of a mermaid..."
"...Like a gigantic dropped lasagne with long hair..."
"...It stood up-right like an embarrassed man with an erection..."
"...It didn't look like a creature to me - just an angry tramp in a sleeping bag in a shopping trolley struggling to propel himself along with two drain plungers..."
The mayor wishes that such a warning had been issued on publications in the 1970s. Maybe millions of children wouldn't have been terrified by the superfluity of glossy monthly magazines and cheap horror books which sensationalised gruesome occult subjects. Grown ups in Scarfolk preferred their children to have a more hands-on approach to the supernatural, or 'the natural', as it's called here. In 1970, Scarfolk had its own after-school kids' light entertainment TV show called "Spontaneous! 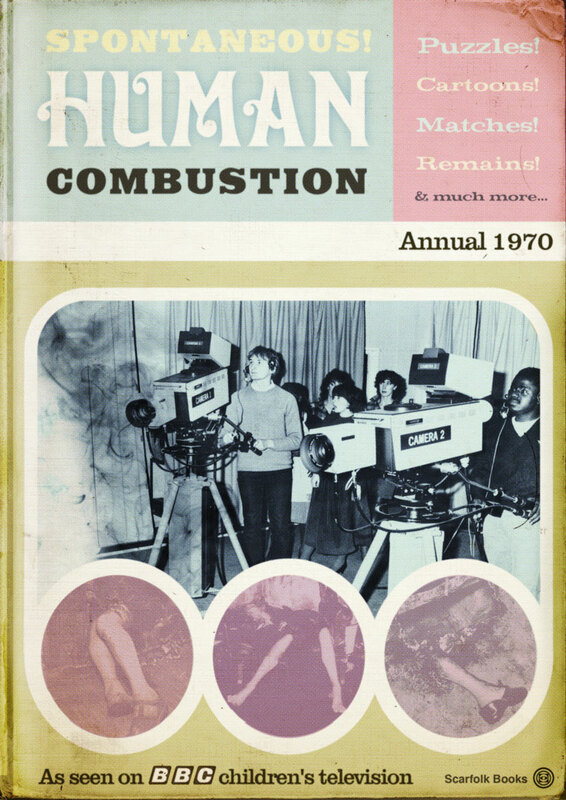 Human Combustion." Though it ran for only one series, it sparked a catchphrase still occasionally heard today: "Douse the louse, Mr. Chrysanthemum!" (The name of the show's host). This is the show's only Christmas annual. 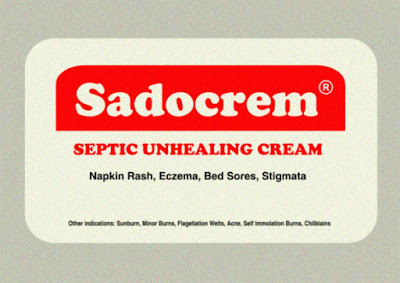 Back in the very early 70s, Sadocrem was also used as a low-fat butter substitute or whipped and added to fruit trifles. On the subject of strange visitors to Scarfolk, in October, 1974, there was a spate of cases involving parents being supplanted by eerie impostors. The frauds looked uncannily like their real counterparts and only children could spot the subtle differences. For a time, affected children found a gritty substance in their school milk. At first poison was suspected but it turned out to be sand from a beach hundreds of miles away. 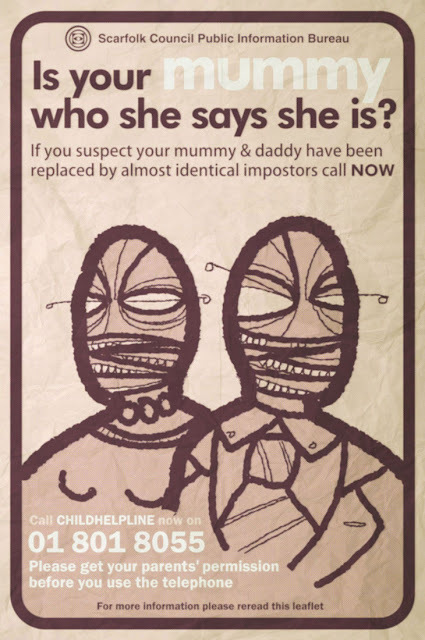 Despite police investigations none of the impostors were ever positively identified and there was a growing belief in the community that they might not even be human. The impostors vanished as inexplicably as they had arrived and the children's real bewildered parents were found wandering on the very same beach from which the sand had originated. They had no idea how they got there, how long they had been away, or what had happened during their absence. This leaflet/flyer was distributed in comic books, at schools, and in toy shops. "Seven tourists visited that summer. Oddly, they were all called Timothy, wore identical clothes and appeared to communicate with each other telepathically. Everyone in Scarfolk called them 'The Tim Seven'. 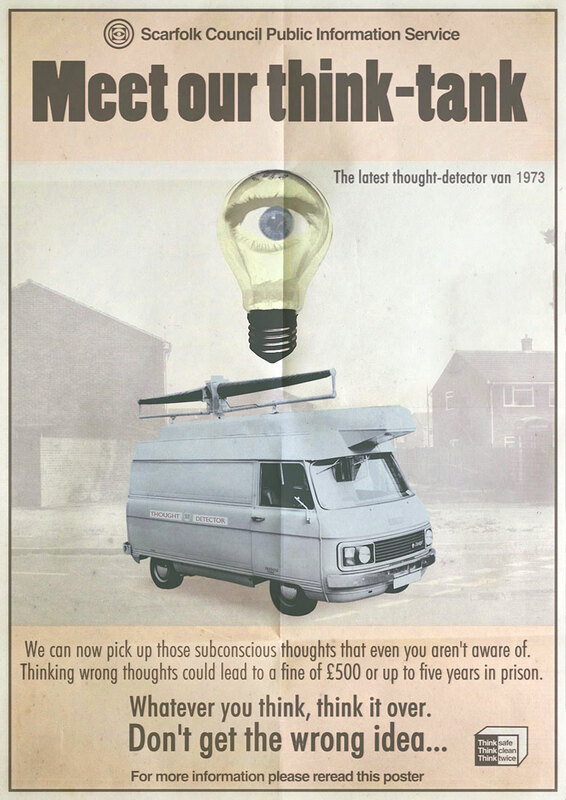 Three days after they arrived in Scarfolk all the birds disappeared and for months after the Tims left whenever Scarfolk residents tried to use their telephones all they could hear on the other end was distant, frantic backward birdsong." Some of you have expressed disbelief that these events actually occurred, which has vexed the mayor. 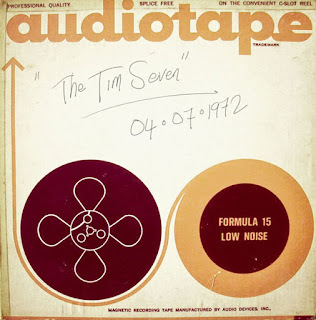 He spent all afternoon rummaging around in the archives in search of one of the reels that were recorded at the time. So, for all you naysayers, here it is. This was recorded on the 4th July, 1972 from one of the council office telephones. This is the raw recording and it has not been tampered with in any way. 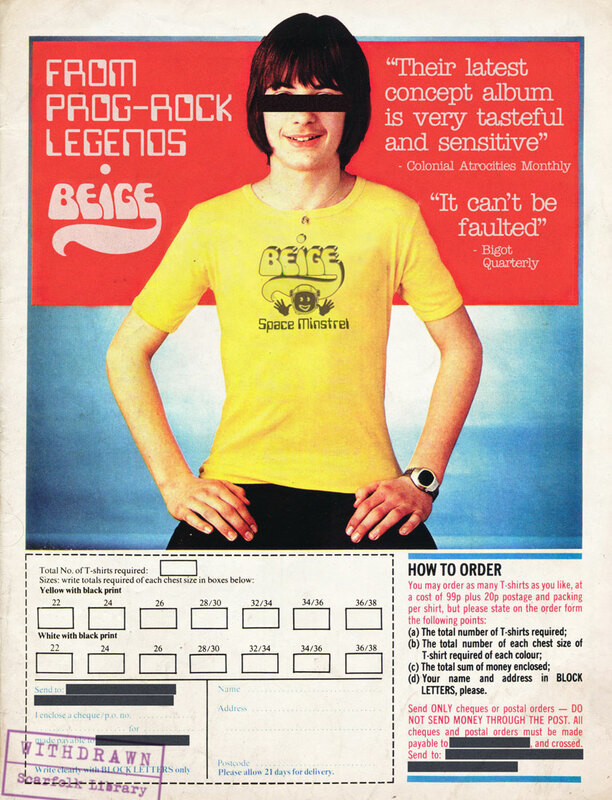 A young girl was found wandering the streets of Scarfolk in 1976. She claimed that she had escaped from a secret school hidden beneath the town hospital. She was sent to Scarfolk Hills mental facility where, in brief lucid states between medication regimes and electro-therapy, she created this image again and again. Her claims were never investigated.